MySQL, MS SQL, PostgreSQL and SQLite, for building feature-rich and powerful back-end. Design your mobile app’s local database right from Database Design interface. SQLite Database allows you to store mobile app data on the device without requiring the internet. 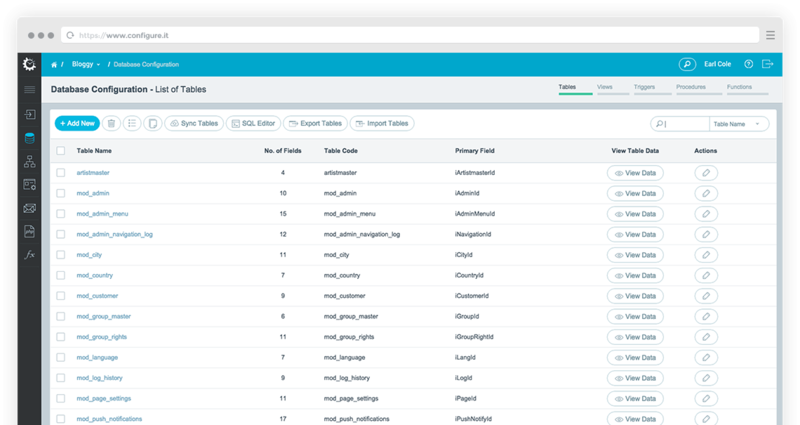 Replicate your entire MySQL database structure into SQLite with one click – best suitable for apps that require online / offline sync. Define once, and reuse some of the most common database entities (e.g. users, categories etc.) in your next project.  Host your database on any 3rd party server, or simply take backup of your database design. Design your database for high volume and business critical systems, without worrying about data size. Check hosting type included in your plan, if you’re using Configure.IT hosting. The term “UNLIMITED” refers to the case when database is hosted on your own servers. 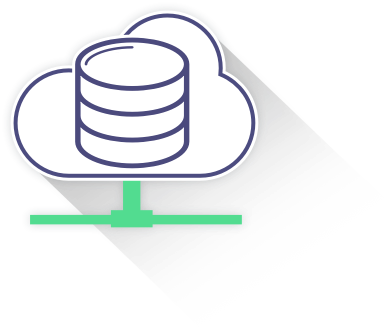 Connect with the remote database server to import selective tables for your project. 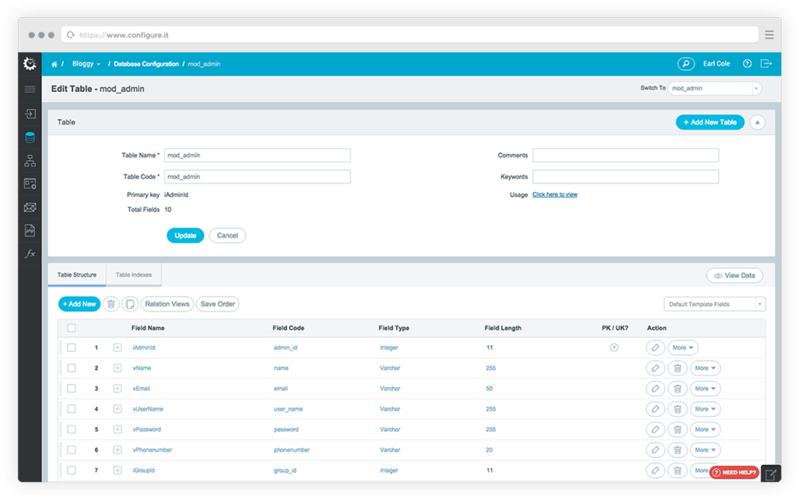 Host your database with Configure.IT cloud, with continuous integration between live and production environment. Hassle free delivery of the data and related services with robust architecture and servers with zero effort. 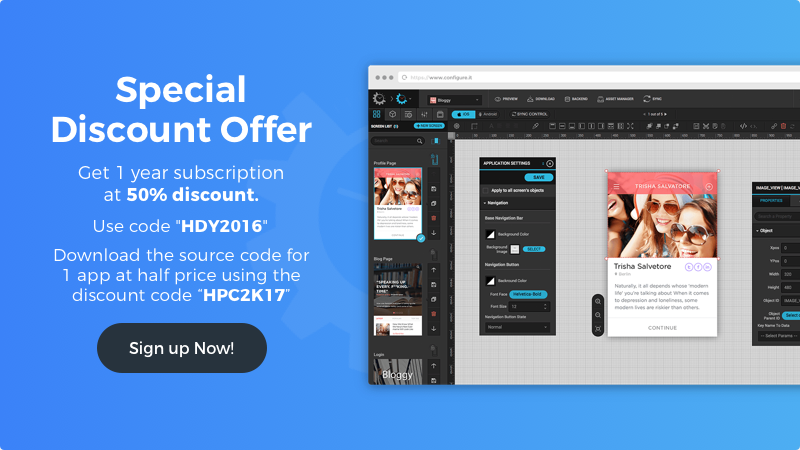 Work independently between Production and Development Environment and apply changes instantly with one click. Tight integration between front-end tools exposed with APIs built with APIBuilder for seamless exchange of data objects. See realtime preview on your iOS and Android smartphones and tablets, with PreviewIT. Build visual logic in the form of simple flow chart and actions, for creating APIs without writing code.